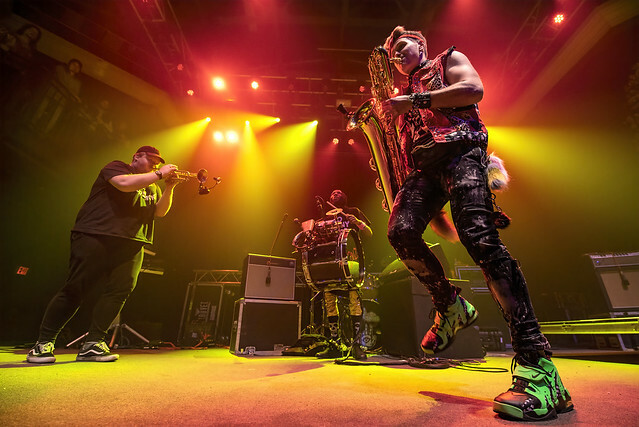 Posted on 12/26/2018 by David LaMason	in Live Review and tagged 9:30 Club, brass band, David Parks, dub, funk, house, instrumental, Leo Pellegrino, Lucky Chops, Matt Muirhead, New York City, Too Many Zooz. 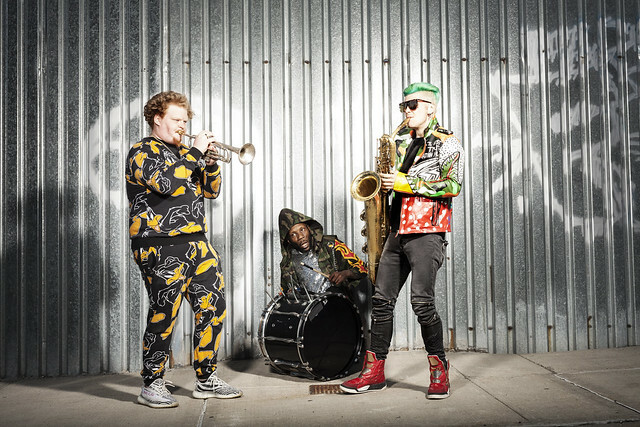 The New York City-based trio Too Many Zooz refer to their own music as “brass house,” which can be a bit hard to describe. Incorporating elements of up tempo ska, house, dub, and jazz, David “King of Sludge” Parks (drums/percussion), Leo Pellegrino (baritone sax), and Matt “Doe” Muirhead (trumpet/keys) have gone from busking the busy New York subway to playing alongside Beyoncé and the Dixie Chicks at the 50th Annual CMA Awards in 2016. 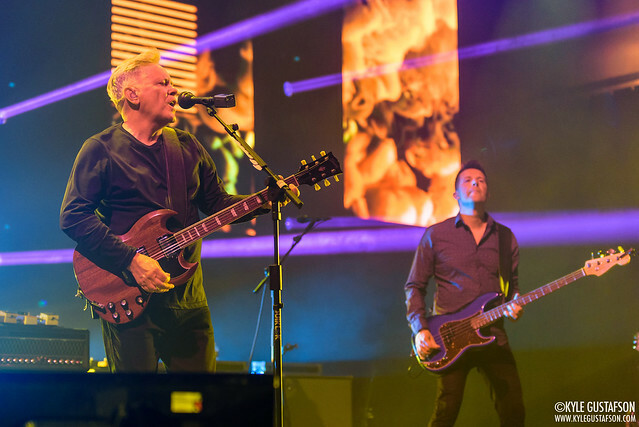 And the trio took their brass house sound to 9:30 Club on Saturday. 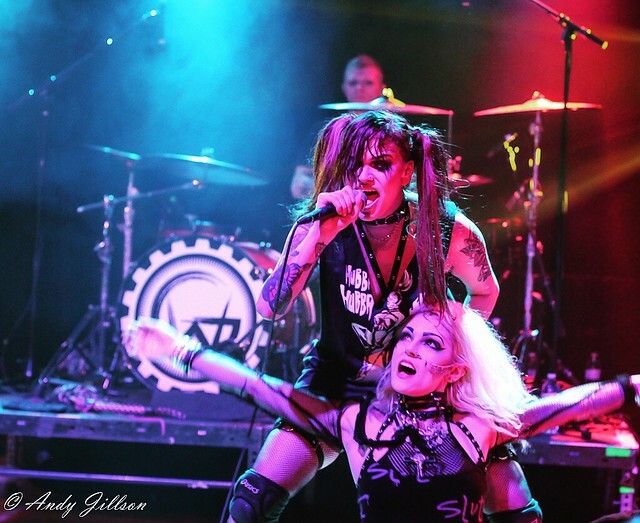 Posted on 09/11/2018 by Mickey McCarter	in Live Review and tagged anniversary show, England, house, italo disco, London, Pete Wiggs, Saint Etienne, Sarah Cracknell, twee pop, Union Stage. 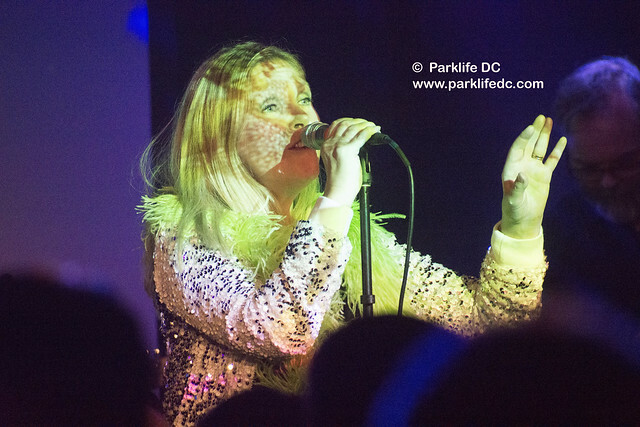 Sarah Cracknell fronts Saint Etienne at Union Stage on Sept. 7, 2018. Sarah Cracknell is a picture-perfect Gen X diva. Wrapped in a feather boa and armed with a sultry smile, the Englishwoman brings wit and warmth to fronting synthpop outfit Saint Etienne, which dropped by Union Stage on Friday to mark the 20th anniversary of their fourth studio album, Good Humor.